Feb. 14 – a date that causes either excitement or dread in people – has turned into a cash grab and marketing ploy. One of the most popular papers, the New York Times, has been running dozens of stories this year about Valentine’s Day: what to do, where to eat and what to buy. For many people, Feb. 14 is about material things and how well you can spoil your significant other. It is no longer about the time spent with your partner, but rather, what you spend on your partner. In 2017, the National Retail Federation (NRT) reported that U.S. consumers are expected to spend on average $136.57 and total spending is expected to reach $18.2 billion. The Canadian Guide reported that due to the amount of commercialization of romantic merchandise, Valentine’s Day has led to common criticism that the day is simply an “invented” holiday. However, Valentine’s Day originated from the Catholic Church, named after St. Valentine who wed couples in secret during the third century when marriage was illegal. In Victorian times, Valentine’s Day was seen as a celebration of innocent love and marriage, but in recent years, the holiday has strayed far from its sentiment. The holiday that was once focused on love and companionship is now focused on gifts and adventurous dates. Is this holiday even necessary? Do we need a specific day in order to show our love to our partner? Love can be shown at any time. The holiday is only around now because of the marketing ploy consumers get sucked into. Global News reported in 2016 that Canadians are more likely to spend their Valentine’s Day money on travel, than chocolate and jewelry. Global also reported $191 is the average amount spent on candies and chocolates and an average of $3.38 billion the value of jewelry. However, it seems like people are beginning to realize how commercialized the holiday has become. 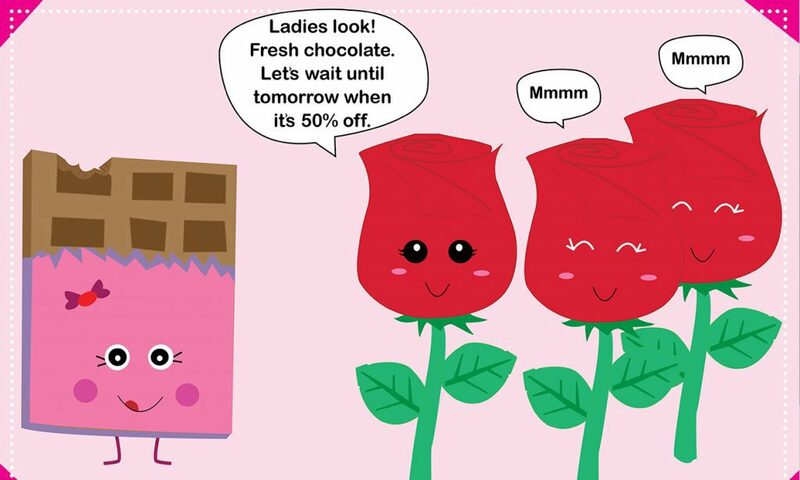 A survey was completed in 2016 by Marketing Magazine stating more than half of respondents were planning to spend less on Valentine’s Day than they did the previous year. Eighty per cent of respondents agreed that people overspend on Valentine’s Day. Valentine’s Day relies heavily on propaganda. Due to the huge exploitation of Valentine’s commercials, one billion Valentine’s cards are sent throughout the world, according to the U.S. Greeting Card Association. It seems that no matter what people say, the pressures of Valentine’s Day are still very real and relevant. And the worst part about the big day is, corporations make people feel like they need to spend money on their partner. Commercials become gendered targeted and prices on jewelry usually go up. Pandora, Bath & Body Works, Hallmark, and even grocery stores, are just some examples of corporations that capitalize on couples during this holiday. Valentine’s Day has become about corporate greed and not love. Everyone loves to be spoiled, but in recent years, Valentine’s Day has become shaped by the idea of material things and not innocent love.